The mosquitoes, cicadas and katydids of summer may be gone, but here come the fall bugs, eyeing your home for a warm place to spend the cool days and raise a family. WASHINGTON — Fall has arrived and with it comes the annual migration of several species of bugs from the outdoors, into your home. In a few weeks, insects such as the multicolored Asian ladybird beetle will creep into warm and cozy homes, University of Maryland entomologist Mike Raupp said. The smelliest of the fall intruders are the stink bugs, which are not native to our area, but are here in big numbers. “Stinkbugs are kind of harbinger of cool weather to come,” said Raupp. One misconception about stink bugs is that they try to get into homes because it’s warmer inside, but Raupp says that’s not the case. They are seeking refuge from winter winds, and in the wild they do that by moving in under tree bark and in rocks, says Raupp. “Your house looks like a big dead tree,” Raupp said. That is the reason studies have shown the bugs prefer darker colored homes, which have natural siding, like wood or cement. “People who live in homes that are found in rural, forested areas are much more likely to have stink bug invasions,” Raupp said. If they’re smashed, they stink, thus the name stink bug. Raupp said that’s why it’s best to capture them when they’re alive. That can be done by putting a glass of soapy water underneath them and allowing them to fall in, since they are not good swimmers. Special traps can also be made using items such as water bottles. Raupp says many people will rush to their toilets to send the stinky pests on the express water route out of the house, but he said that isn’t the best course of action because it wastes water. Instead, it’s best to put the bug in the freezer. They can be added to compost piles after a few day. Other bugs you can expect to see moving into your home are the multicolored Asian Lady Beetles. “They’re beneficial; we can catch those bugs and re-release them out doors,” Raupp said. Another bug to consider a catch and release response with is the black Pennsylvania Field Cricket of which the males are known for making music in homes as they search for mates. “Capture them and put them back outdoors where they can fulfill their biological imperative and find a babe outside rather than in my basement,” he said. And ladybugs are beneficial, too. “For the ladybugs, because they’re beneficial, we can take those bugs and we can release them outdoors,” Raupp said. 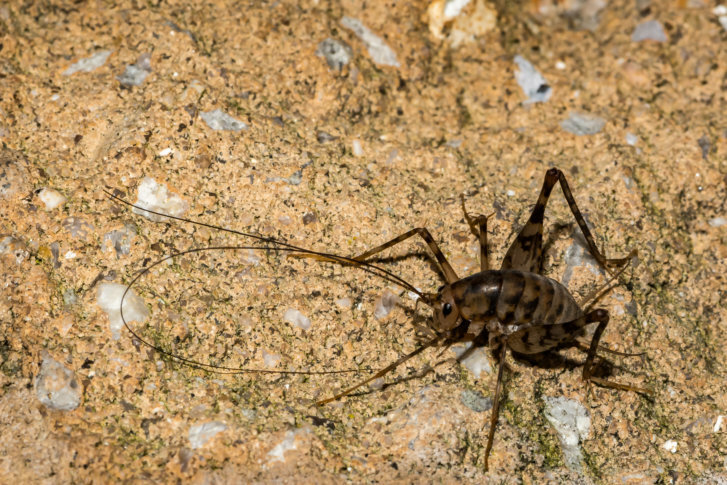 The brown hump backed cricket, known as the camel cricket is also a guests which may jump at or away from a homeowner who spots them. Raupp said because they’re hard to catch, glue traps placed along the wall, where they travel, might be the best way to eliminate them from your home. Other frequent guests that can move in during the fall and winter months, are the Box Elder bugs. Catching all of the bugs mentioned should only have to be a last resort, Raupp said. Homeowners should take steps to make sure they can’t get into homes in the first place. “Anything good for energy conservation, is also going to be good for keeping those stinkbugs from invading your home,” he said. Raupp recommends checking the exterior of the home and fixing for any holes in screens or worn out weather stripping or caulk. Also, make sure there are no other places the little invaders can sneak in. WTOP’s Abigail Constantino and Madeleine Simon contributed to this post.